Events happen in our lives, and situations arise that may not have been of our own making. But it's the choices we make regarding those events that will determine how our life turns out. Terry's story is one of compassion and love. Her love of giving to another human was gifted back with the love of flight. And that she continues to share. "I couldn’t say no: that about sums it up. In March 2005 a friend, Rob Weber, called me that he just got his private certificate and bought a Cessna 172. He knew my now deceased husband, Mario, had been a pilot since the age of 16. He knew that Mario loved airplanes. He also knew that Mario would never fly again because he had Alzheimer’s. Rob wanted to take Mario for a flight. I thought the idea sounded wonderful and readily agreed. The flight was a surprise for Mario and I “taunted” him that I had a surprise for him Friday night. He was convinced that I was taking him out for a steak dinner. When we arrived at Page Field in Fort Myers, Mario figured that we were getting a visitor. He never imagined that he was going on a flight that would change MY life forever. Rob arrived and ushered Mario into the right front seat of the 172 and, much to my chagrin, I was seated in the back. I was not upset about being in the back seat—I was not happy about being in this small airplane. But I agreed because I wanted to see Mario happy. We took off and the smile on Mario’s’ face was one like I had never seen before. He started recounting stories of his youthful days flying his Ercoupe around the farm fields of Cuba before the Castro regime seized the family wealth. 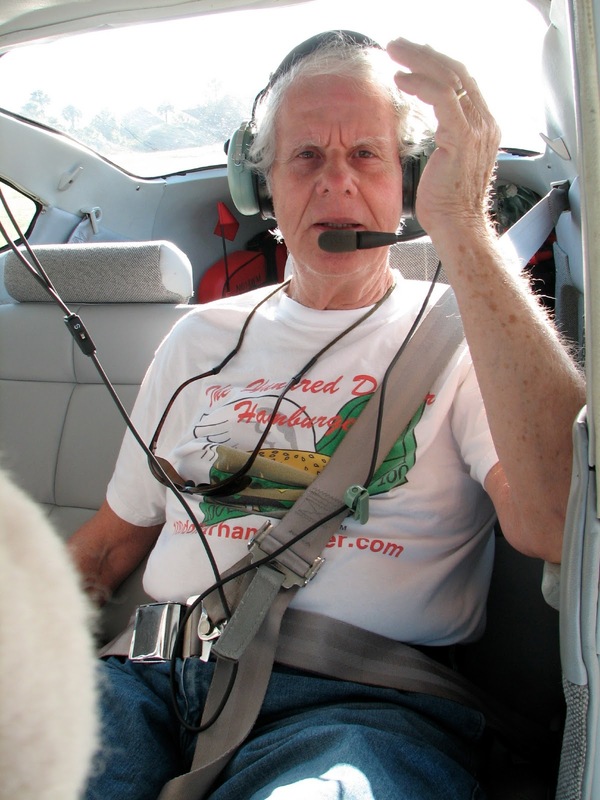 He recalled landing on I-75 in Fort Myers, FL “back in the day” to assist a pilot who had to make a forced landing. As we came in on final, Mario turned to me and said “Can you please get your pilot license so I can spend my last days on this Earth in a plane?” I took a long, hard gulp. Me??? Flying this thing? No way! Well …. Wait a minute …. I couldn’t say no. This is my husband of 16 years asking me to make him happy in his final days. I couldn’t say no. Rob offered me his airplane and instructor to get started. A week later, I was on my “introductory flight” with instructor Ed Wilson, a flight instructing icon in Fort Myers, and Mario in the back. 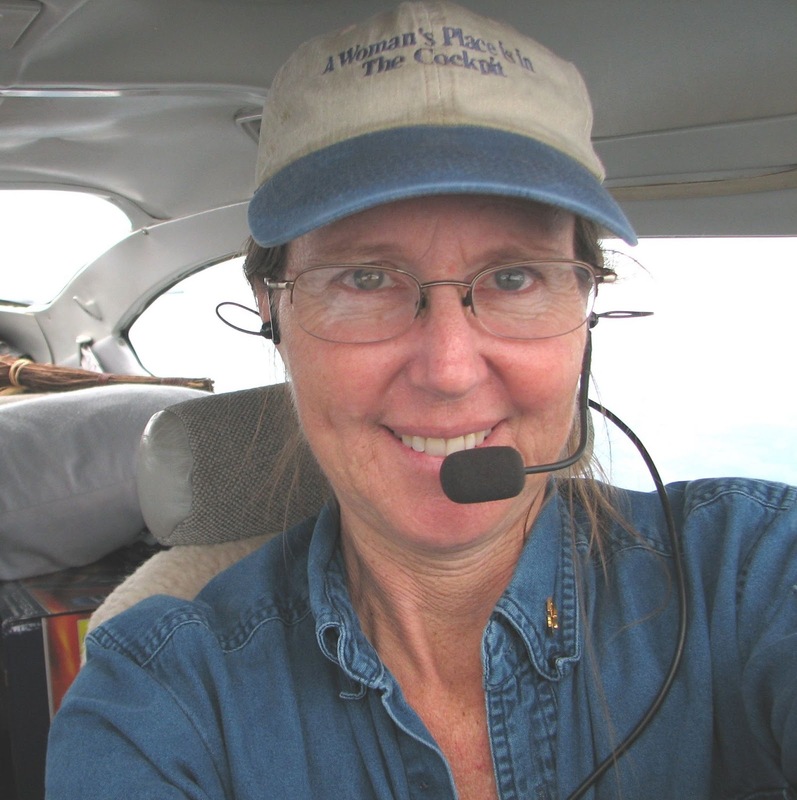 I was terrified as I climbed in the left seat but figured that Ed – with more than 40,000 hours in a 172 – could fix anything that I did wrong…and so I started my flight training. I thought something was wrong. By the time I realized what had happened I was already in the air, all alone. How stupid could I be?! I did 3 touch-and-goes before making the full stop landing. Shaking but I did it. Over the next couple weeks I prepared for my long cross country. When the day finally arrived it was a beautiful Spring morning in Fort Myers. The weather forecast for my flight to Sebring, Okechobee and Pahokee was perfect: calm winds and clear blue skies. I launched out just after 0700 en route to Sebring. 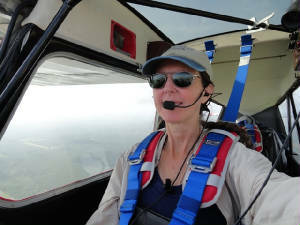 As I was a little way from Sebring I noticed an overcast layer overhead and I started descending from 3,500’. I kept coming down until I was 1,000’AGL. I was heading in toward clouds. Training told me to do a 180 degree turn but it was already too late and the clouds kept pushing me lower. I was close to Sebring by now and had to get to the airport. I landed, parked the plane and kissed the ground. I was shaking so badly that I could barely walk. My cell phone had many messages from Ed and pilot friends warning me not to come back to Fort Myers because it went IFR. I was going nowhere as the ceiling settled into a low dense fog over Sebring. Finally by 1300 hours, the fog lifted. I did not want to get back in the plane. I had been debating for the last several hours how to get the plane back home without me in it. I was ready to call the mechanic, Vern, to come get me but kept hesitating. Ed called with an alternate plan to complete my cross country. My only response was that I want to go home and I flew straight back to Fort Myers as fast as I could. 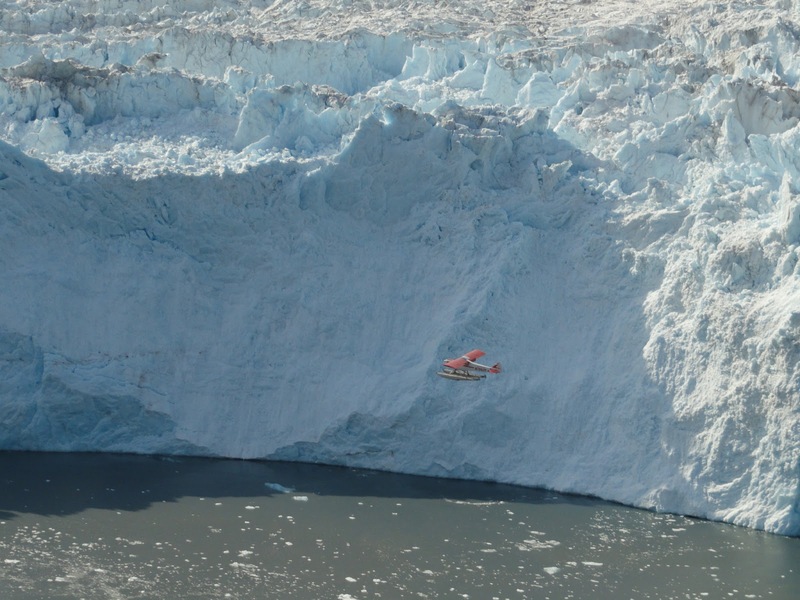 I was still badly shaken when I parked the plane and walked away. I was done. I have never been so scared and DID NOT want to do that again. Mario was waiting for me when I got home. There was so much excitement in his eyes. He was so proud of his wife that she has made this trip. I did not have the heart to tell him what happened. I had to try again the next day. Arriving at the airport, I was greeted by the same sunny weather that lured me into flight the day before. Ed assured me that it was going to be different today. I was sick to my stomach all morning, not being able to hold down breakfast, but I finally launched out to Okechobee, Pahokee then Venice. In spite of my fear and apprehensions, all went well and I completed an uneventful solo cross country. Forty-six days after I began my flight training, I had my own private certificate and I could take Mario flying. With Mario wanting to fly, I knew that I had to become as proficient as possible. I was fortunate that mechanic Vern was also a pilot – and a darn good one at that. He taught me a lot about the airplane and flying in general and he often accompanied Mario and me on our long journeys. I would often say to Vern that the conditions (wind, altitude, weather, etc.) were beyond my capabilities but if he was comfortable, I was willing to learn. With that, we launched out over the Gulf direct from LaBelle, FL to Cancun, Mexico passing through the outer Cuban airspace where Mario could hear his countrymen direct from his homeland for the first time in over 45 years. We made several trips across the United States seeing all of the National Parks that Mario wanted to see. We flew to Niagara Falls in some nasty IMC to fulfill a 40-year dream of Mario’s to see the Falls. We flew everywhere, and I was averaging over 300 flight hours per year. In 2007 I entered the Air Race Classic for the first time. I had flown across the country before so this should not be so difficult. Well, like anything else, there is always more to it than it seems. The cross country part was easy for me; but doing well was another deal all together. We finished in the top half of the field of 45 race teams and won a couple of leg prizes. I learned, finally and for the first time, that I was now the proud holder of my own black bag of experience along with my commercial and instrument ratings. Mario was proud. Up until May 2008 Mario had been able to travel. He was impaired; he had issues and needed much assistance, but he loved the sounds and vibration of the airplane and enjoyed listening to his Cuban music as we flew off to our faraway places. While at our cabin in Tennessee in May, Mario had a “major brain malfunction”. We never did figure out what happened but it was all we could do to get him in the plane and get him home. He was nearly uncontrollable and terrified of everything, even when sitting peacefully in the house. His flying days were over but I now found solace in flight. Mario screamed constantly and required 24-hour care. We hired full time, live-in care givers to help me take care of him and to give me a break. I turned to flying. As sad as his illness had been, the death of Mario in November 2008 started the grieving process all over again. The loved ones of Alzheimer’s patients grieve every day because each day you lose another little piece of your loved one. Their personality changes; the “special things” are no longer special and you find yourself living with someone who looks like your loved one but resembles them in no other form or fashion. This time I turned to the Ninety-Nines. 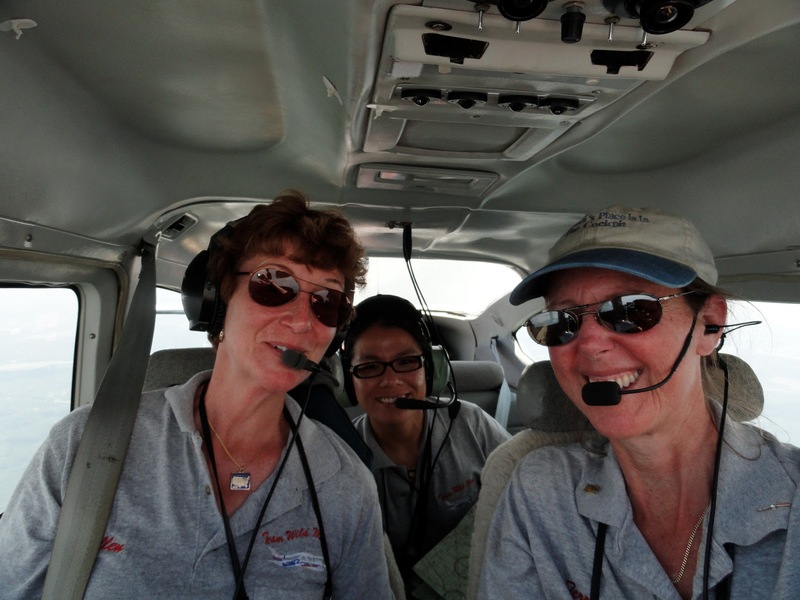 My “sisters” in the 99s, my Air Race Classic friends and my pilot friends kept me flying. They called and emailed and made sure that I was OK. The aviation community became my new family. I kept flying and decided that it was time for more adventures. I made several more flights across the U.S. with Vern, with friends and by myself. I kept racing proficiency races (the Okie Derby and Sunshine Derby) and the Air Race Classic. In 2010 with my dear friends Ellen Herr and “Laura” Ying Gao, we piloted my 182RG, affectionately known as “Wild Mama” to a first place finish in the Air Race Classic. Wow: what a high! It was one of the best days of my life. 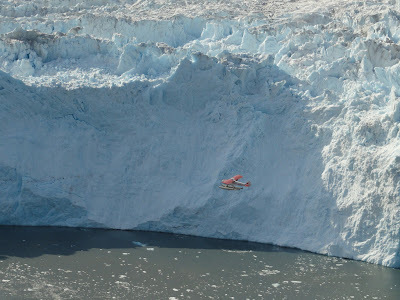 The remainder of 2010 was eventful as well: earning my CFI a flight in Wild Mama to Alaska and fulfilling my aviation dream of flying a float plane over the glaciers in Alaska. But there is no stopping from there. I have since made several more trips across the United States; we finished 3rd in the 2012 Air Race Classic, I regularly fly to the Bahamas as a Flying Ambassador; I have earned my CFI-I and I will be starting my multi-engine training soon thanks to a Paradise Coast 99s “Wings Over Paradise” Scholarship. I plan on using my multi-engine rating to start flying mosquito control missions and, well, who knows what else. My real mission right now is girls’ aviation education. I have been volunteering with the Air Race Classic and Boys & Girls Clubs developing a youth aviation education program. The ARC/ Boys & Girls Club program in Mobile, AL won the Boys & Girls Club Award of Excellence for education and career development and was the jump start for the Aviation Adventures, Inc. “Youth & Aviation Adventure Guide” – a full color 120 page workbook to teach youth things they needs to know to be an aviator (weather, maps and charts, airports and runways, airplanes, history, communications, aerodynamics, etc.). What can I teach you? Never give up. There is always another pilot out there who will fly with you to help you earn your back bag of experience. Have confidence in your abilities and follow my mantra: “Never let fear alone stop you.” My flying career started at the ripe ole age of 44. I never saw it coming. I had never, not for one split second, ever thought about piloting a plane but on that fateful flight back in 2005 I couldn’t say no." Please leave Terry a message, and follow she and Ellen on their race to the finish line on Team Wild Mama's Website. You will be amazed at all she's accomplished. Terry, Thank you for an incredible story. One that brought tears to my eyes. I wish you ultimate success in everything you do. Keep touching the sky... you are an angle flying strong. Firstly, Terry, I am sorry for the loss of your husband. He left this world knowing you did everything you could to make him happy. Not only did you make him happy, but you persevered into your true potential by obtaining your private license within that 45 day period and now you are flying with the best pilots in the race and you are promoting aviation education to the next generation of (female) pilots. Your story is inspirational to me as it shows that age doesn't matter under 65, you can still become a pilot. As Karlene says, "The sky is not the limit." It truly isn't. Now that I came across this post, I have now met yet another pilot who I relate to as I am coming onto the scene at a later age as well. Once again, thank you so much Karlene for introducing yet another awesome pilot! Have a great weekend, everyone! And grey, rainy IFR ones too! Thank you so much Jeremy for the wonderful comment. Coming into this later in life is a gift. So much wiser, to the lessons you will learn. And the grey and IFR days make those limitless blue all the more special. Yes, D. Also grey, rainy IFR ones, too! Just not tomorrow evening! And yes, Karlene, so much wiser. Thanks so much for posting that Terry and Karlene. It honestly made my day. Your story was incredible and I am so glad that I remembered to check in with this blog today. It's amazing how that flight truly put a smile on your husbands face. I love how you followed through and made him so happy. Thank you for the comment Swayne. Yes... she put a smile on his face, but I suspect he knows the smile he has put on hers. A gift that she's been sharing with others. Terry you have such a wonderful spirit. This story is so inspiring. What you did for your husband is fantastic! And indeed, age does not matter! Thanks for your comment Heather. Her spirit (and his) are both flying strong. Wow. That was emotional and inspirational. Wow. Thanks for posting this, sad to read about Mario's struggle with Alzheimers and subsequent passing. Terry has done him proud and inspired so many. Thanks. She certainly has, and she just keeps giving. Thanks for the comment Captain! I am so sorry for the loss in your family of this horrible condition. Keep the faith that it never grabs you! And keep flying. Everything works like it should and Mario gave us all a great gift in Terry. Have a wonderful day! Terry, this story is really emotional... What you have done for your husband is just awesome but, at the end, I think flying has been also his last gift to you. My grandfather died with Alzheimer, I really know how this disease can change people. I wish you a lot more landings! Giuseppe, Thank you so much for the beautiful comment. I too believe this was a gift to her. "Somtimes I Don't Know Everything"
Plane Hacking... The New Form of Highjacking? WHERE DID “SULU” COME FROM?